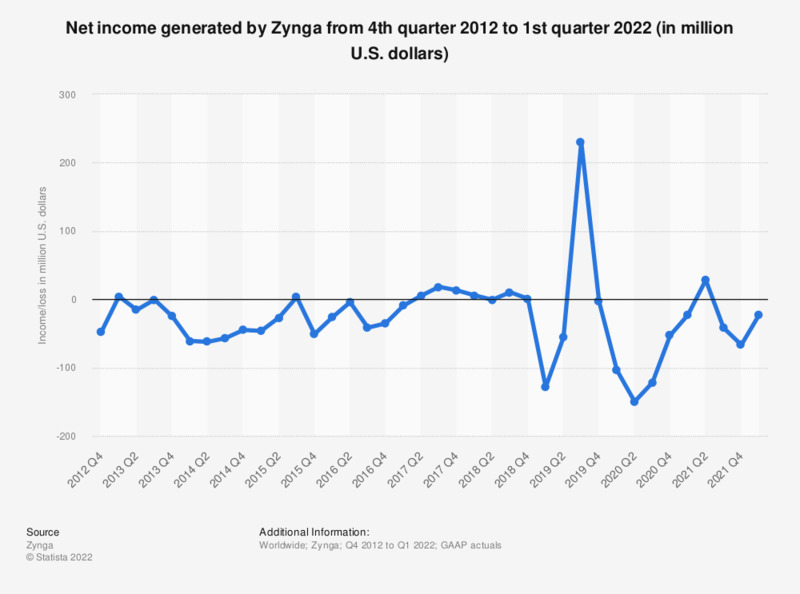 This statistic contains data on Zynga's net income/loss from the fourth quarter of 2012 to the fourth quarter of 2018. In the fourth quarter of 2018, the social gaming company reported a net income of 559 thousand U.S. dollars. Figures for periods prior to Q1 2017 come from previous financial releases. The figures for 2009 and 2010 are available in the download file.